Balandin Group consists of two units: Nano-Device Laboratory (NDL) and Phonon Optimized Engineered Materials (POEM) Center. 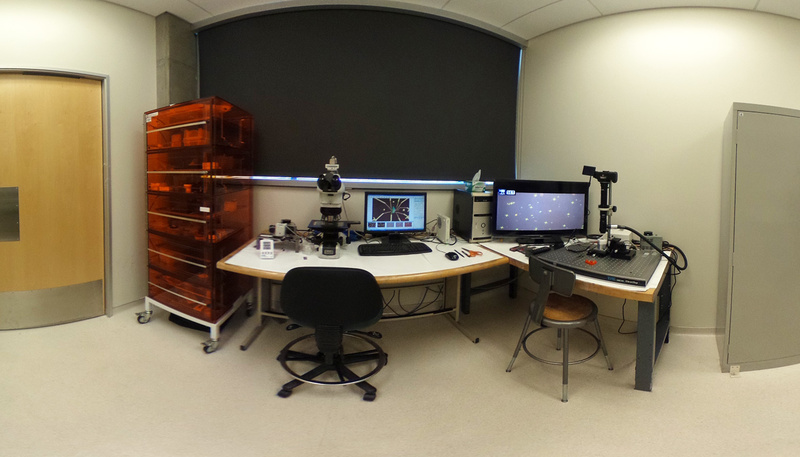 The NDL team is engaged in device focused research, which involves material preparation, device fabrication and testing. 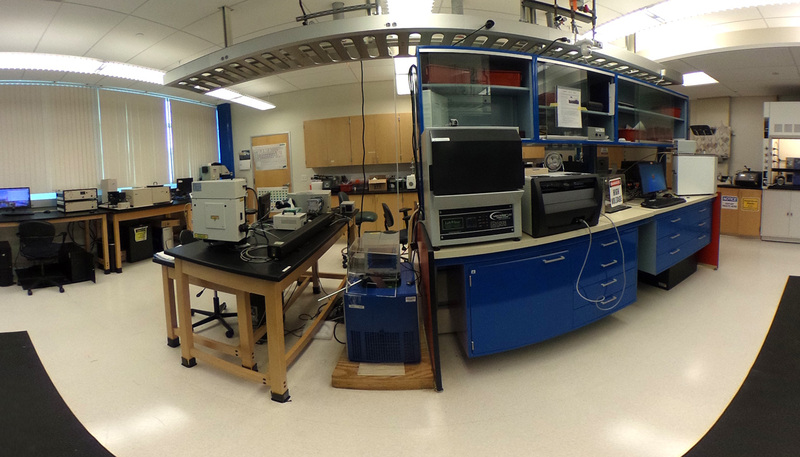 The core NDL facilities include a specialized 2D Materials Transfer and Testing Laboratory (MSE 264), and Low-Frequency Noise Laboratory (WCH 366). 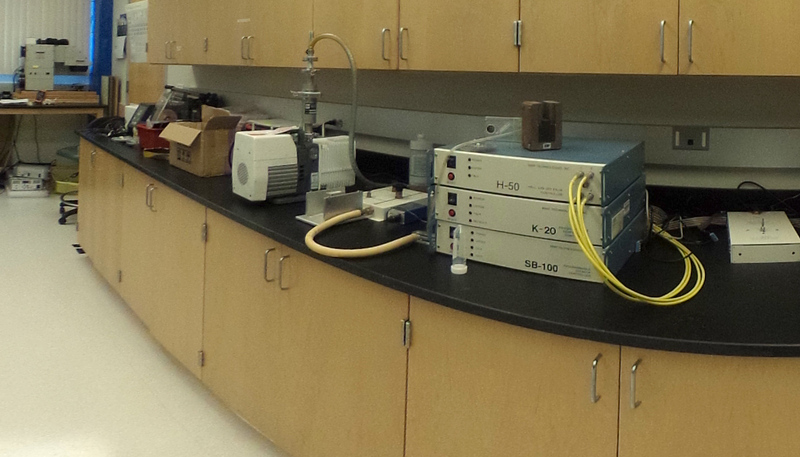 The POEM research activities include Raman spectroscopy, Brillouin – Mandelstam spectroscopy, measurement of thermal properties, composite synthesis, and thermal testing. The POEM facilities are located in the MSE 254 laboratory. 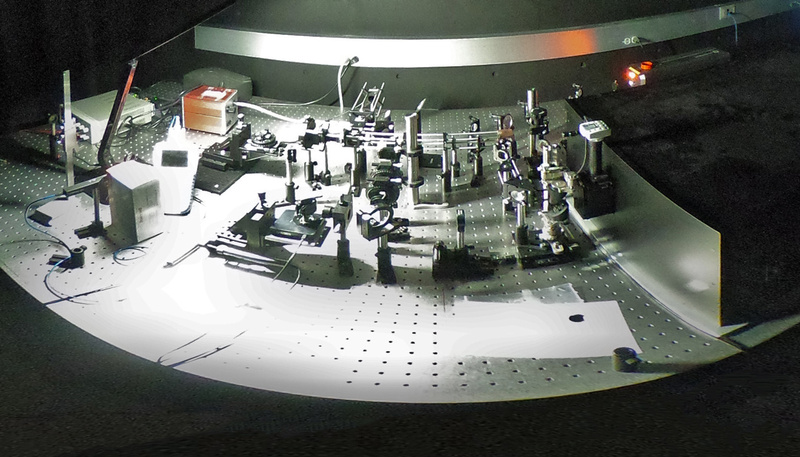 They feature a unique Brillouin – Mandelstam spectrometer (BMS) for investigation of acoustic phonons, and a range of instruments for materials’ thermal testing. 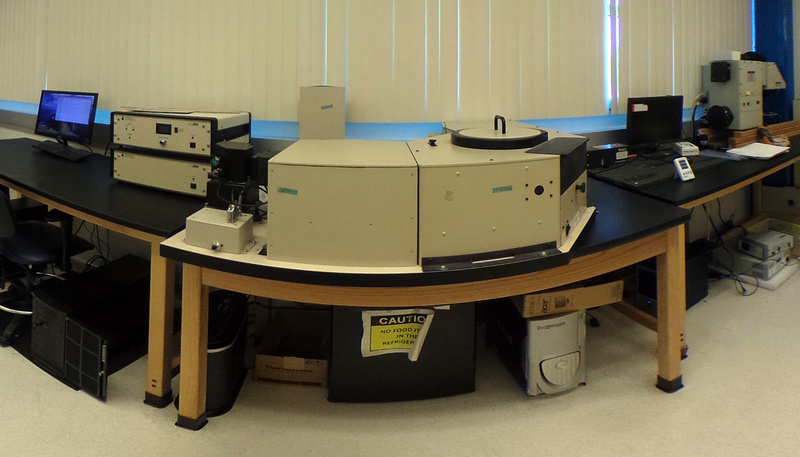 The advanced micro-Raman spectrometer with low-wave number, low-temperature and UV capabilities is housed in a separate Micro-Raman Laboratory (MSE 262). You are welcome to visit the POEM and NDL facilities virtually by clicking on the links below. The in-house built low-frequency noise measurement system allows to study noise in electronic devices in a wide range of temperatures from 4 K to above 600 K. It is located in a separate specially designed laboratory protected from electromagnetic and acoustic vibrations. 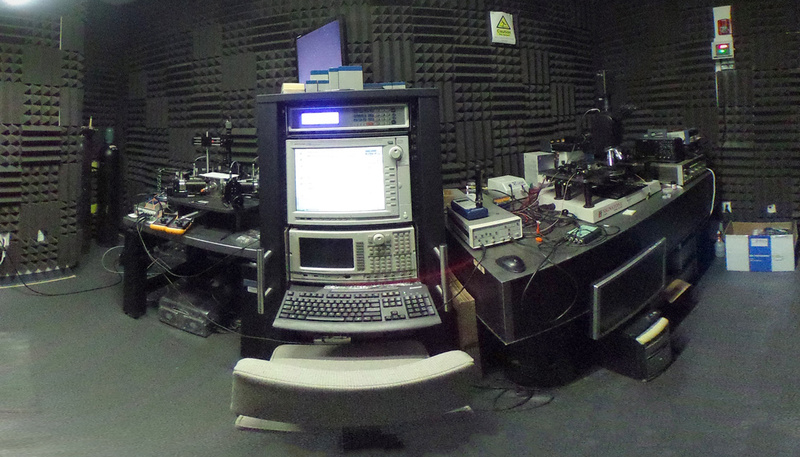 This facility features unique in-house built Brillouin – Mandelstam spectrometer (BMS) and micro-BMS for investigation of acoustic phonons and magnons in the sub-GHz – THz range. 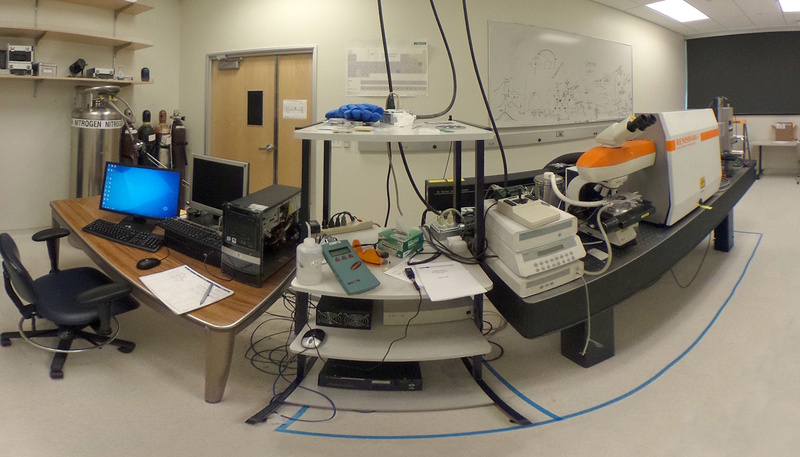 The instrument range overlaps with the Raman spectrometer allowing to study any phonons. 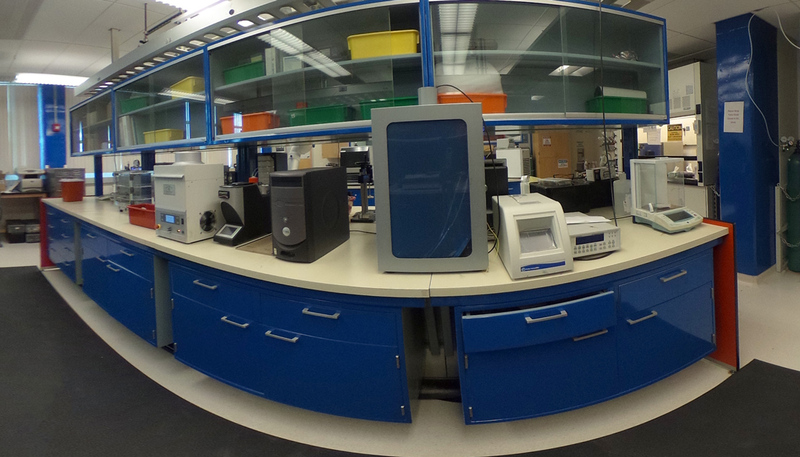 The advanced micro-Raman spectrometer with the low-wave number, low-temperature, visible laser and UV laser excitation capabilities is housed in a separate Micro-Raman Laboratory. This system has been used for a discovery of unique heat conduction properties of graphene.